Pacific time, Monday – Friday. 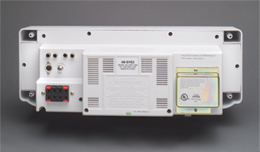 Cost-efficient in-wall audio center from OEM Systems provides simple whole-house sound. Editor’s Note: Last month CE Pro senior editor Bob Archer gave a look at the IW-SYS3 In-Wall Audio Center from OEM Systems. Now Dwight Young from Central Vacuum Stores (Clearwater, Fl. ), who has been using the product, shared his firsthand experiences with CE Pro. Here in sunny Florida we have a lot of folks that, while they may have downsized living style, have upgraded their entertainment desires. The IW-SYS3 from OEM Systems delivers a lot of entertainment value in an easy-to-install, easy-to-operate package that is really affordable. It also can drive up to 8 pairs of 8 ohm speakers thanks to its high-current amplifiers that are stable down to 2 ohms. 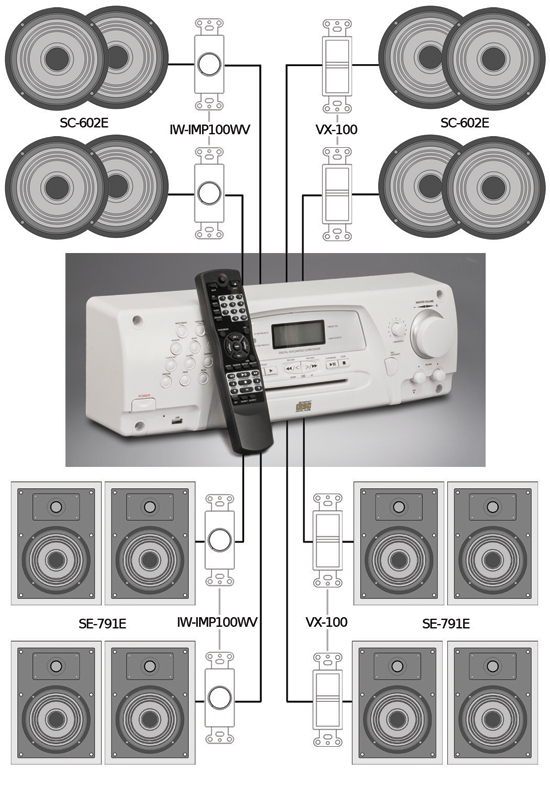 OEM Systems has been around ever since the earliest days of in-wall and in-ceiling speakers. They have a ton of experience and a lifetime warranty on their loudspeaker solutions. The original SYS-3 in-wall-audio center came out several years ago and was very successful for us. The new SYS-3 was re-engineered and launched at the end of Q1 2014. The new AM/FM/ tuner section works great, too. A really popular feature is AS/PS (AutoScan/ProgramSave). One press and the tuner scans and saves the 30-strongest AM and FM stations. The SYS-3 handily drives up to 8 pairs of 8 ohm speakers. While it is not intended to create the “party house” in the neighborhood, it does deliver clean, clear audio all day long. Also, not to be overlooked is the easy-to-use, full-size remote control and owner’s manual that our SYS-3 owners really like for its guidance and clarity. It saves us service calls and frustrated owners all the time. I also need to note one valuable SYS-3 accessory, especially for today’s more trendy customers. OEM offers the MS-D1 dock and MS-B1 Bluetooth receiver that plug in to the AUX-in on the SYS3, enabling wireless reception of source material from any device. Customers love it and it is simple to use. Installation is very straightforward. Speaker wire is home run from every room that wants speakers (indoors or out) and we include volume controls anywhere individual volume control is needed. If the homeowner wants to have an easy access AUX input, we then install OEM’s 2RGRG in a convenient location, providing immediate access for any AUX input. The mounting cut-out is 14 ¼ inches x 5 ¼ inches with 3 ¾ inches depth, and the unit cleanly mounts directly to the studs through 4 corner screw holes. When capped with the white screw caps, the SYS-3 looks neat and discrete. The whole point behind a system like OEM’s SYS-3 is to disappear and let audio entertainment fill the home with easy-to-use, seamless, musical ambiance. The SYS-3 does that really well. Installed in-wall (usually in the kitchen or den), it fades into the background and simply enables the homeowner to enjoy AM, FM, CD, and even wireless audio from any device as well as auxiliary audio from any device throughout their home. Thanks to the quality of the amplifiers (not the size) the sound quality is clean and clear, and listening fatigue is not an issue. The IW-SYS-3 from OEM Systems is a terrific, cost-effective solution for a whole-house solution that fits most budgets and delivers high-quality sound. Its combination of handy features and ease-of-use appeals to many downsizers, vacation homes, senior residents, playrooms, and low-tech candidates. Pros: Very affordable ($399.95 retail); clean, clear sound; easy-to-operate, easy to install; high satisfaction factor; plays music from flash drive via front USB; wireless dock option adds a lot; adjustable bass and treble. Cons: Would love to have more power (always); front-mounted USB is for flash drive only; does not charge devices; wireless should be built-in.